Proper carpet and rug cleaning and care is a smart investment for your home or business. At Budget King, it's our business! Let us revive the appearance of your carpet and improve your air quality by getting rid of dirt, pollen, dust mites and animal dander that contribute to allergies and upper respiratory problems. We guarantee you'll be satisfied with the results. Why not have clean carpets by the weekend? 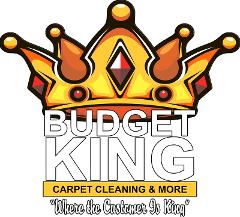 Call Budget King today at (630) 543-0668 to schedule your carpet cleaning! 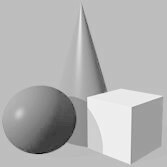 Organic Enzyme Preconditioning $0.25 per sq. ft.
3M Scotchguard™ Protector $0.25 per sq. ft.
Sanitizing (pet odor) $0.25 per sq. ft. Hot water extraction (or steam cleaning) is the best way to clean carpet according to nearly all carpet manufacturers. It is the only cleaning method classified as "deep cleaning". All other methods are considered light surface cleaning or interim cleaning because they don't remove soil deep in the pile and also leave significant cleaning agents in the carpet. Did you know that your carpets should be professionally cleaned every 6 to 18 months depending on whether the carpet is light or dark color? Ask about Budget King's annual contract to save you money. "We had our oriental rug cleaned due to a lot of soiling from an open house. They came out that evening and worked diligently to get the job done. They were very careful and took pride in their cleanliness in not getting the hallway and other areas of our home dirty. Thanks for a job well done!" "Two of my large area rugs were filthy! I have several large dogs that have accidents in the house. My rugs smelled badly of urine and my husband said "the rugs or the dogs must go!" I brought my rugs to Andy and they came back smelling beautiful and lookin' like new. I got to keep my rugs and my dogs! Thank you Budget King!" What Is Pre-Conditioning And Why Do I Need It? Think of a pre-conditioner in the same way you would do your laundry. Well, carpet cleaning is no different! Your carpet is the biggest single piece of fabric in your home. The kids track in all sorts of dirt and debris on their feet and shoes. The baby crawls on it and the pets roll around on it. Food and drink spills can often permanently stain your carpet. Cooking odors or using your fireplace allows your carpet to become a huge air filter, trapping odors and toxins in the fibers. When a carpet is pre-conditioned, dirt and stubborn stains are more easily removed leaving your carpet cleaner. For this reason, Budget King recommends pre-conditioning. While area and oriental rugs can beautify your home or business, they capture dirt and dust particles in the air and on our shoes. Dirt which we drag from outside is trapped in the rug and helps keep our floors cleaner. Typically, an area rug is an expensive investment, especially if you inherited it or if it has a sentimental value. That’s why we treat it professionally and respectfully. 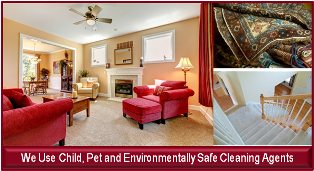 Our area rug cleaners are IICRC certified specialists. We give each rug special attention whether it’s natural or synthetic and recommend cleaning every one to three years; more often if you have children or pets. Wool area rugs have a natural tendency to hide soil and require special cleaning methods. We are proud to use wool safe approved cleaning products to preserve the beauty and longevity of your wool area rugs. No matter what type of rug you have, Budget King provides the safest cleaning possible. We believe in providing fast, quality of service and will pick up your rug(s) promptly at a convenient time for you and return it to you within a few days. While you're sitting here looking at your dirty rugs, call Budget King today at (630) 543-0668 to schedule your area/oriental rug cleaning! Upholstery is made of different fibers and the cleaning products used are not the same as your carpet solutions. Holding an IICRC S300 Upholstery Certification, we will inspect each fabric and use the best solution to clean it. 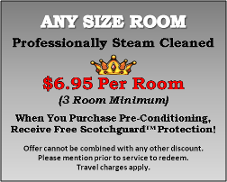 Our services include deodorizing, sanitizing and fabric protection. Also, did you know that Budget King cleans auto upholstery? Please read our testimonial below from Tom in Elmhurst that we just received. Call Budget King today at (630) 543-0668 to schedule your upholstery cleaning! "Andy, thanks for the wonderful job you did on my upholstery last week. I really didn't think the pet stains and the odors would come out. I am so glad I called you, and I see why you call your company Budget King ... where the customer is king! That is truly how you made me feel. Thanks again for a job well done and a fresh and clean couch that I can once again sit on." "Andy has kept our family and our cars happy for many years. Our family looks forward to the annual detailing that Andy does for us. Andy's detailed cleaning of cars is our annual Mother's Day present to my Mother-in-law, my sister-in-law and my wife. The service is excellent! He coordinates the pick-up and delivery of our cars so that it fits into our busy schedules. We are always amazed at the difference in our cars after Andy has worked his magic." Synthetic, Natural or Hand Woven .......... $1.00 sq. ft. Fringe Cleaning ......................................$2.50 lin. ft.
Draperies are some of the most visible elements of your home or business, so you want to make sure they are looking their best at all times. Budget King provides drapery, valance, and window treatment cleaning (take down and re-hang service available). Whether you are spring cleaning or moving, call Budget King today for a free estimate! Did you know that Budget King cleans mattresses? 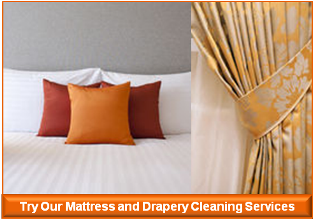 Have your mattress professionally cleaned to help eliminate mold, bacteria, allergens and other organisms. Our low-moisture, high-pressure system will clean and dry your mattress in the same day. "I called Budget King to clean my draperies in the living room. They came out the same day and the service was excellent! The technician was very kind and knowledgeable. He wore booties and was very careful not to get any of my floors or carpets dirty. I would definitely use their services again." "This company is top notch! I was happy to see that there are cleaning companies out there that still care. We had our carpets and two mattresses cleaned as we have animals and two children and it was long overdue. The price was reasonable and didn't break the bank. 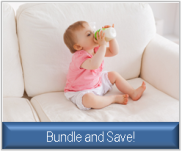 I have recommended Budget King to many of my family and friends!"